Ernest Riggen joined Fidlar Technologies in 1993. The majority of the past fifteen years has been spent growing the software portion of the business, now the core strength, focus, and future of Fidlar Technologies. Ernest began his career with Fidlar leading the software development team and charged with building a new and successful direction for design, development, and ultimate deployment of our software products and services. He is proud to have been a small part of fabulous Fidlar products such as Vista, DocuTrak, FeeManager, and of course - iDocument XF. But it's been more fun working with the team members of Fidlar and the customers that have helped make these products and Fidlar a success. Ernest eventually accepted responsibility for the software division and then the entire company. In 1978 Dave graduated from the University of Northern Iowa with a B.A. in Accounting. Dave earned his CPA in 1979. Prior to his employment with Fidlar Technologies, Dave was the CEO of Sigmaworx, Inc, a technology company serving the call center industry. From 1978 through 1989 he was with RMS McGladrey a national accounting firm. Dave achieved partner status with the firm in 1983. Dave has a wide range of business experience spread over 29 years. This experience includes operational, marketing and financial assignments. Over his years of experience he has gained valuable knowledge in strategic planning, business acquisitions, sales and marketing development and human resource management. As a Partner with McGladrey he consulted with a wide range of family businesses in many different industries including retail, manufacturing, technology and distribution. 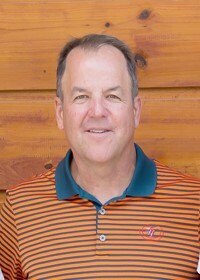 Dave currently serves on the Board of Directors of Quad City Bank and Trust, Per Mar Security, and Crow Valley Country Club. Scott Moore is vice president of sales. In this role, he is responsible for directing Fidlar's sales efforts to both public and private sectors along with coordinating company marketing activities. 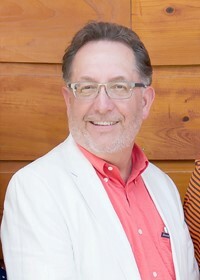 From March 2004 to July of 2005, Moore served as Director of Business Development leading the marketing and planning of Fidlar's private sector products; Laredo, Tapestry and xPedite. While in this role, he assisted with product enhancements and worked closely with both public and private sector members on smooth product rollouts. While in this role, he was able to grow Fidlar's private sector revenue by over 300%. Moore is a member of the Property Records Industry Association (PRIA) as well as the National Association of County Recorders Election Officials and Clerks (NACRC) and maintains committee involvement with each. He also maintains private sector membership with the Mortgage Bankers Association as well as the Association of Title Information Management (ATIM) and the American Land Title Association (ALTA). Prior to joining Fidlar, Moore spent 7 years in management positions for an Iowa based computer hardware manufacturer. In that role, he managed a domestic sales team as well as channel partners in thirty seven countries. 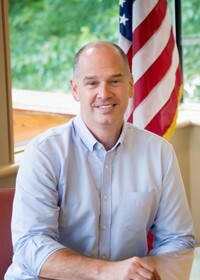 He attended Illinois State University and holds a degree in computer programming.